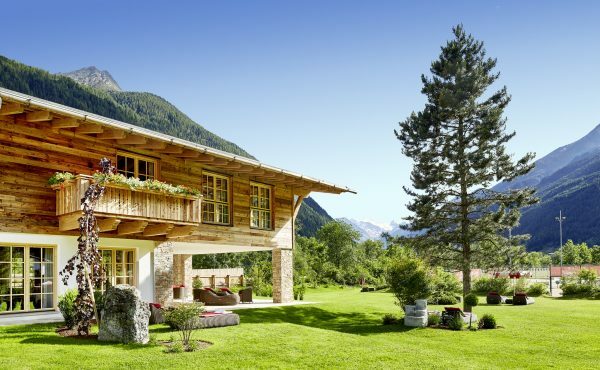 Opened in 1998, and winner of the Relais & Châteaux Spa Trophy, JSPA at SPA-Hotel Jagdhof is one of Austria’s largest spas covering 2,000sqm over two levels plus a landscaped aqua park with 200sqm interconnected in/outdoor pools for year round use. Facilities include the Vitality World with 20 different saunas, baths & relax areas including rustic Finnish sauna, tepidarium, laconium, cistern steam bath, herbal bath, inhalation grotto, amethyst steam grotto, Kneipp circuit and refreshing ice and water features. On top off this there is a Relax area with waterbeds and starry sky ceiling. If feeling a little peckish while lounging in bliss there is the Vital Buffet, which serves fruit, teas, waters and fruit juices. For treatments there is the Beauty World: named after Diana – goddess of the hunt – which comprising thirteen treatment rooms. Treatments offered employ fine natural products with active ingredients as well as exclusive electromagnetic and diathermic procedures. Additional facilities include fitness centre with techno gym equipment. 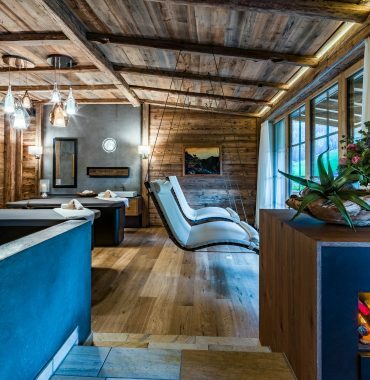 The SPA CHALET is a new addition to the impressive range of facilities at the JSPA, and provides the ultimate luxury: privacy. As we all know in this day and age Privacy is a luxury, which is why JSPA have made even more sanctuary space for their clients – 700sqm is dedicated entirely to rest and relaxation. 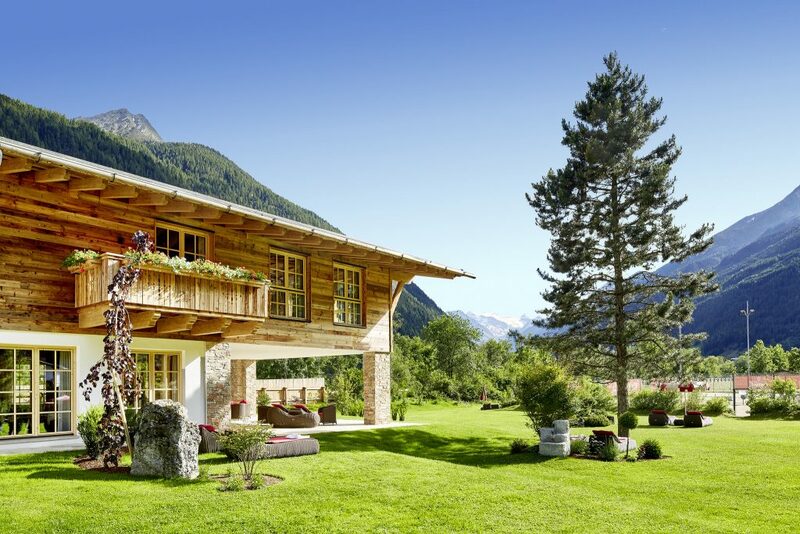 Nature, tradition and zeitgeist come together in their spacious SPA CHALET with stunning views of the glacier and the surrounding mountains. A unique hideaway coupled with ultimate luxury and absolute privacy, it is a place of comfort, space, light and tranquility with cocooning areas in beautiful surroundings. Now if that was not impressive enough JPSA offer the ultimate luxury: the 100SQM PRIVATE SPA SUITE. 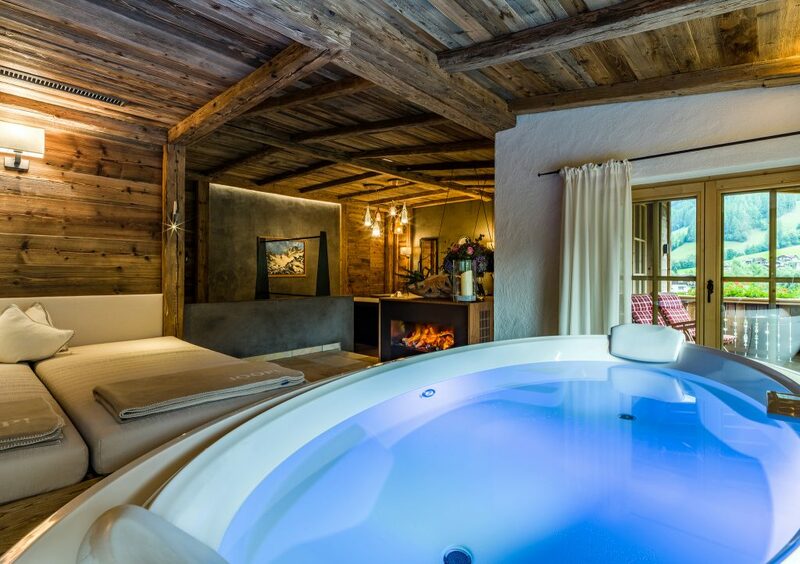 During our stay at the wonderful SPA-Hotel Jagdhof Eisbär and I were lucky enough to experience the PRIVATE SPA SUITE. 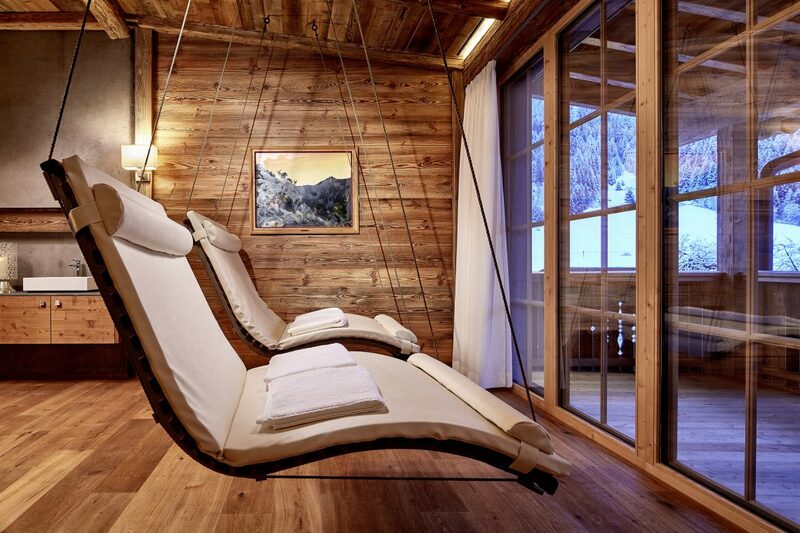 One hour of unadulterated, pure, private relaxation. When you step in to the suite you are bowled over by the beautiful design, alpine but modern, then like a child at Christmas you get to explore the facilities. 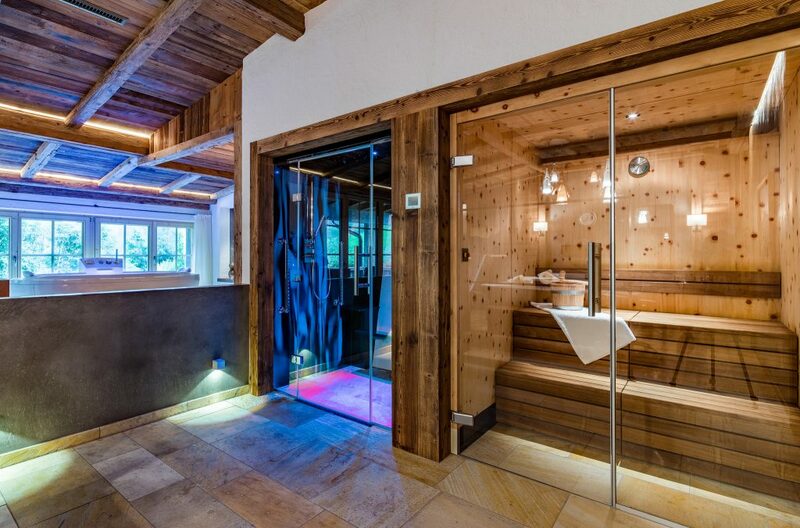 First up the Swiss pine sauna, like other pine saunas found in spas across the Alps BUT as it’s your own private haven you get to do it in your birthday suit without any qualms of strangers seeing your giggly bits! The sauna is set at a pleasant 60 degrees and 60% humidity that provide a comfortable environment to get the circulation going before hitting the steam cabin, and what a steam cabin it is! 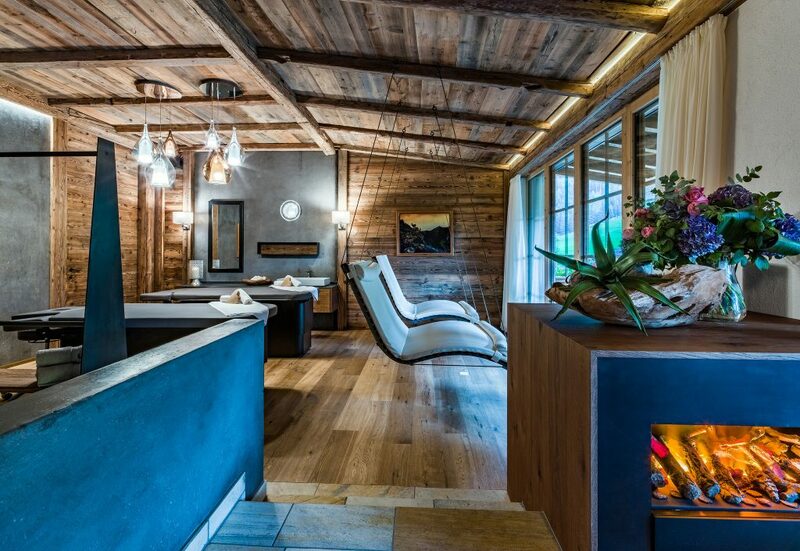 The superb ‘My Spa Heaven’ steam cabin is a true haven for heavenly feelings à deux, where a symphony of light, music, heat, fragrant steam and an integrated sensory shower delights the senses. Now that you are all wet (get your mind out of the gutter) you can hit the ‘Infinity Duo Pool’, a bath built for two that offers a range of experiences from revitalising to relaxing. Eisbär and I indulged in some atmospheric chromotherapy including gentle vibrations that end up turning you in to a trance like state! 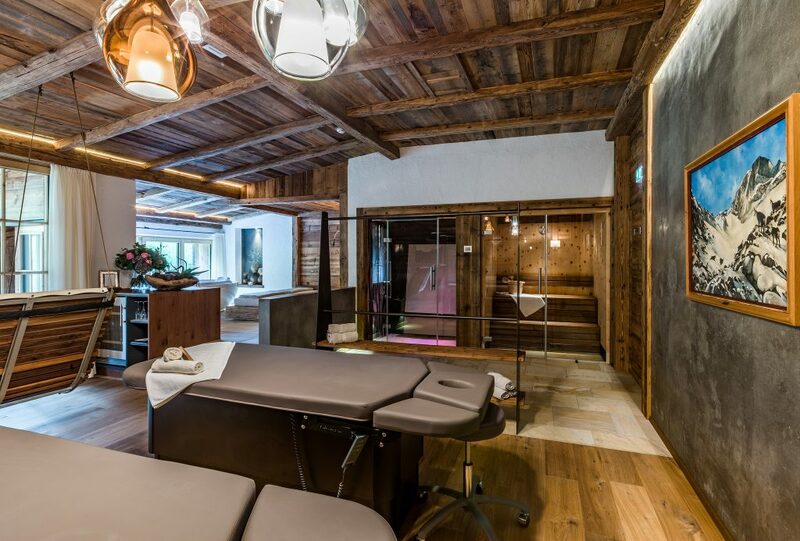 After drying off with the fluffy towels and all sweaky clean Eisbär and I and I hit up the two treatment beds; JSPA provide REN and other products in the room so you can give your loved one either a mini facial or sensual massage (again mind out of the gutter). Finally, and with the clock ticking, we relaxed in the gently swinging hammock loungers then snuggled up together in front of the fire with a glass of bubbly. Sadly the hour was up, but thanks to JSPA’s awarding winning spa complex the afternoon of RnR continued as we headed to the SPA CHALET for a cup of herbal tea and some shut eye. 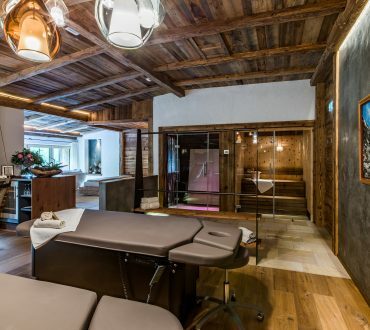 JSPA at SPA-Hotel Jagdhof is one of the best spas I have ever visited and the crowing glory is the PRIVATE SPA SUITE, after all what is more indulgent than a afternoon spent with your loved one in complete privacy to enjoy sensual spa facilities and a chilled glass of Champagne? 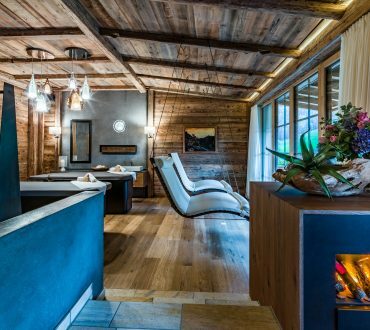 PS: If this spa was not amazing enough to ensure limitless relaxation they do not allow children under the age of 15 into the SPA CHALET! RESULT!